Dividing Cornwall from England, the great tidal reaches of the River Tamar were once a main maritime highway, with ships carrying minerals, fruit and flowers to the markets of the world. At the centre of this activity was the 12th century port of Saltash once the base for the largest river steamer fleet in the South West. 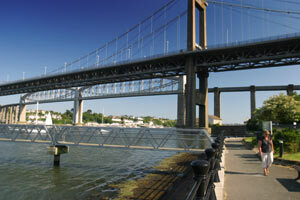 Today Saltash is still the 'Gateway to Cornwall' with most visitors arriving either by Brunel's dramatic 1859 railway bridge, the Royal Albert, or by the modern suspension road bridge. Saltash still retains some original features, including an 18th century Guildhall on granite pillars, and amongst the quaint old cottages you can find the House of Mary Newman, Sir Francis Drake's first wife. From the old town quay below you can enjoy a boat trip upriver to Calstock. Overlooking the Lynher estuary is the National Trust property of Antony House, said to be the finest Queen Anne building in the West Country. Upstream, on a tributary of the Lynher, is the magnificent 12th century church of St Germans, built on the site of an earlier monastery which had been the seat of the Cornish bishops. The Tamar Valley was renowned in the 18th century for its fruit crops particularly cherries - and at springtime the blossoming orchards around Calstock and the village of Botusfleming, will provide you with a glimpse of this former splendour. Nearby the 11th century motte-and-bailey Trematon Castle was built in a commanding position over the valley and Trematon Manor is a Georgian house worth a visit. In fact, the villages of Trematon and Burraton are the original settlements of this area. The lord of Trematon founded the market town of Saltash in the 12th century, at a point where an ancient highway crossed the Tamar estuary by means of a ferry. Saltash achieved borough status around the end of that century. It was the first port to be established on the system of estuaries stretching from Plymouth Sound. Until 1901, Saltash had jurisdiction over all those waters. The town’s strategic position led to its involvement in many important events. An early Norman church is St Nicholas and St Faith uphill from the ferry crossing. However the main parish church for Saltash is the 15th century St Stephens which is about a mile from the town centre. Sir Francis Drake married a Saltash girl, Mary Newman. Her cottage still exists and is open to visitors. 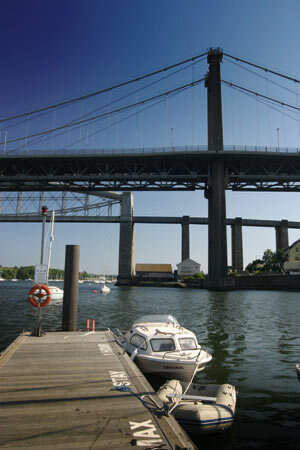 Saltash is an ideal location for visitors to the Tamar Valley and there are many beautiful views across the river. Canoeing trips on the Tamar are very popular. 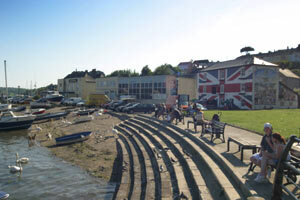 The town has a local Heritage Trail and also boasts a Leisure Centre. The town is within easy reach of many major attractions in both Cornwall and Devon and is on all the main transport routes by road and rail. Saltash Museum and Local History Centre opened in 2000 and contains a small permanent display about the history and well-known characters of Saltash. A temporary display is mounted during the summer. 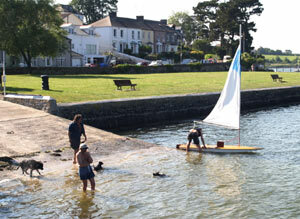 Sailing Saltash is an ideal location for sailing. A new all-tides pontoon for short-stay moorings sailing and motor boats opened recently - giving 'free' berthing for overnight visitors to the town. The river is navigable beyond the Tamar bridges and, on some tides, it is possible to sail further up the beautiful river valley, as far as Cotehele and Calstock. Plymouth Sound is full of interest, as are such sites as Mount Edgcumbe, Drake’s Island, the historic Devonport Dockyard, and Torpoint. There is a passenger ferry at Cremyll and a chain car ferry at Torpoint. 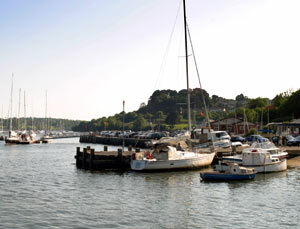 The historic Saltash Waterside offers a choice of entertainment, cafés, pubs and restaurants.